The New Year is on! And I have a wish for this year..To know all your wishes and resolutions for 2019! Lets share….waiting for you!! I hope this year is one of achievements. I did my dream picture, in it I put my wishes for this year and others years too, I hope to achieve all of them. I have a wish for society for this year is to think a healthy life, because I am a new member of Herbalife Nutrition. So this my wish and challenge for everybody. It is very good to have resolutions and wishes in life and when a new year starts it s so good to think about it! Hope all your wishes come true! And that you ll ve a very happy, healthy and successful person!! Congratulations for you new challenge!! Happy new year for everybody !!! 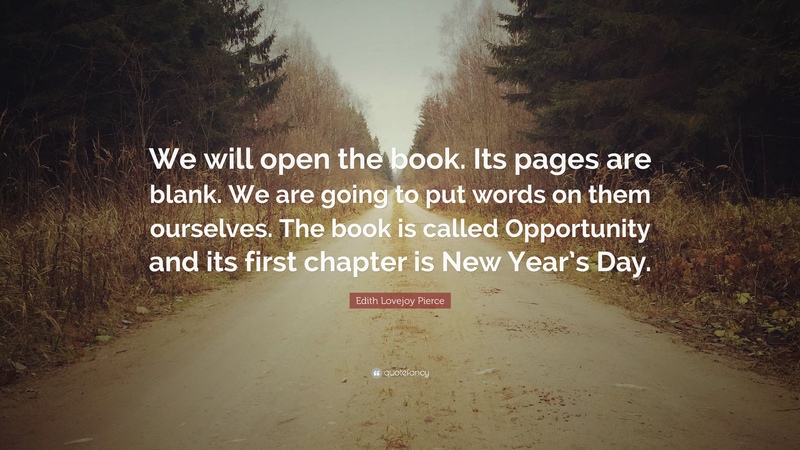 all new years people have the opportunity to reinvent themselves and have a new beginning full of plans and desires … that’s why we must work and put all our efforts into achieving goals that help us improve our lives and the lives of others. In this year my main objective is to resume my studies to become a completely independent person. Happy New year too!! Yes New Year, new beginnings!I wish you a year plenty of good results in you studies! If it s like in English you ll be very successful, for sure!! This year I have alguns objetivos e desejos pessoais a concretizar. -terminar os níveis do curso de ingles que estou apenas a iniciar and speak, etender and write in English that is a dream. .
-fazer pelo menos two or three short trips a conhecer com a family destinations in Portugal , or quem sabe pela Europa and one trip outside of Europe..Ambicioso ?Acho que não,penso que é uma questão de organização um outro outro objectivo a conquistar. Para o mundo em geral gostaria de ver diminuir a fome,a miséria ,não ver as doenças primárias ainda a matar por falta de recursos ,ver novas descobertas e mais pesquisa para conseguir a cura ou tratamentos eficazes nas doenças degenerativas e neurológicas ,ver a união sincera dos países mais fortes para ajudar sem interesses os mais necessitados e principalmente que todos tenham mais paz e Deus acima de tudo nos seus corações. Um desejo muito pessoal também , gostaria de ver o meu Brasil melhorar muito na saúde, economia e segurança por que ele é um pais “maravilhoso”. Beijinhos a todos e que todos nós consigamos no final do ano de 2019 ver pelo menos parte dos nossos desejos e objectivos concretizados. Happy New Year! I m sure you will end the English studies with lots of success! We will do our best for it!! Regarding the trips they are not ambicious they are fantastic!! To travel is one of my passions. We grow and learn a lot when we travel! Regarding your wishes for the Society, I love it! Such good ideas! !Against hunger and yes no cure for basic diseases is horrible! For Brazil i also wish all the best for a fantastic, beautiful and rich country, with fantastic people! Kisses and hope our dreams come true!! We start the year thinking to do changes in our lifes, at the professionals, personals, socials levels. To my own life my biggest goal is to enter in a new job. After I’ve passed ten years in a job, this year I hope to start a new cycle. To have success on this I will have new trainings, to enrich my skills. Other important objective is to care of my health, and change my diet and become vegeterian. I hope that all ours wishes are successful. So good to start the new year with a new challenge!And to get more knowledge! Regarding your diet, so curious you want to change your diet to vegetarian! I have to confess that each day, my body asks more that kind of diet!! And it is so good! Thare are such good veggi dishes!! Hope also that you will be successful in your wishes!! New YearI , hope this year is one of achievements.. I hope you achieve all your wishes!! And yes work and health are some of all that good we can wish for all!! Hello and happy new year for everyone!! Sem dúvida que 2019 promete! E claro que um dos meus desejos para este inicio do ano é que seja um ano em grande a nível profissional e pessoal. Um dos objetivos vai ser, com a vossa ajuda, concluir com sucesso o curso, e no fim me sentir realizado e de dever cumprido. Thank you!! Happy New Year for you too!! And regarding the English classes we will do our best to make you finish the classes with success! And I m sure of that!! With the new year beginning we must all set our goals. So, for this year my personal wishes are the success in my masters. For the society in general I wish peace of mind and health. I think that’s the most important. I also wish that all of you carry out your wishes! Happy nem year for everybody!!!! You are right! New year, new goals!All the best for your masters! Lots of success! And yes, for all of us, peace of mind and health! I completely agree and I wish you all the bets fo this year!!! First of all I wish to all of my colleagues and teacher a happy 2019. My wishes for 2019 are the same that I used to have all years. For society, I wish that everybody would be able to pay their bills and put food on the table. I also wish that people will be less selfish and learn to help and respect others. For environment, I wish that politicians create all necessary measures to avoid the climatic changes and think about the future. The time is ticking my friends and we will soon reach a no return point. For me, I only wish to be happy and successful. I agree a lot with your wishes, all! Society and pesonal ones! To have food and pay the bills! And regarding the selfish ones also! The environment issues are also so important!! We ha ve to look to the future, yes!! And Now!! To be happy, successful and healthy are also my wishes for everyone! We are in 2019 !, for me is a new important year; because, many things in my life must change. Iam preparing the documents to delivery in th SEF for Nacionality. This change is to much important for me and my family. In the second place, I must have been working as mredical doctor in Portugal, to help all ill persons, as adult as child. I will work better every dy to improve the health of the population. I am going to get or to keep this objective. Oh yes, so many important things in your life! Nationality, keep going on helping people and …..Learnig English! I´m really happy for you! All the best!!!! Wish you a fantastic 2019! for me in this new year I wish health, improve my English and work. For my family, I want everything that is above and much love. For society a lot of peace and harmony. I´m so happy you include the English in your wishes!! You will achieve that!! I´m sure!! And for Family..love! I completly agree! Peace and harmony for all of us!! Wish you the best! This year, as in all others, we have to think that we can do better for ourselves, our family and our society. We can start with the waste of food and the waste of used clothes in good condition. In my case, I repeat the same gesture, I donate my clothes, I give my son’s clothes to my nephew and I deliver my son’s toys to an institution. About food, I hate putting food in the trash and I eat food as often as necessary to not put it in the trash. In the street, I don’t see anyone hungry, fortunately. I wouldn’t give money to these people, I would rather give them a sandwich and milk or water. In the job, the world need people that need work and not job, and in the local of job we need people who are responsible and do not mix personal and professional life, in this way the jobs with only wedge would end. So well said! I completely agree! One of the biggest problems in the world is the waste of everything! Food, clothes, toys, everything we don t need and can give to the ones that really need it! Not to be selfish is something that we all should know and train our minds for it! Regarding work and jobs true! If you all could be the same responsible people the world could be so much better! All the best for you and Family!! My wishes this year is simple, to be a better person, a better version of me, because, when my way of thinking is better, my environment is better too. I want konw new things, places, people and grow up a little more. Such beautiful words! All of us should do this exercise to try to be a better person! And yes, it is so good to leran new things meet new peole and discover new places!! I wish you all the best for 2019 and that all your wishes come true!! Que esse ano seja repletos de muita alegria e paz nos vossos coraçoes.Feliz 2019. Thank you and a Happy New Year for you!! So good to wish peace in our hearts! Thank you so much!For you too! Happy New Year! This year I hope to finish my English course with success. I also hope to continue my PhD. On a personal level I hope to remain with my family and that everyone is happy. Finally, I hope in some way to contribute to a better world. Thank you! Happy New Year for all of you! I´m so proud of my Students! Such good feelings! Happy with the English! And such good hearts! Happiness for everyone is something special! And contribute for a better world! love it! Wou will do it! I´m sure! All the best for you and Family in 2019! What I want for this year is that there be more unity and harmony in the world. and in special that all of us can respect the different opinions, cultures and beliefs. For me and my family, i desire a year of happiness, health and success, that we can achieve all of our goals. So in general i hope this year will be better than the previous! Yes Regina! Peace, harmony, unity! Respecting others coud be so good and it is so easy, if people want it! Happiness, health and success are magic words! All the best for you and your Family in 2019! Me chamo Ingrid Lorrana, essa é a primeira vez que participo do Forum. Desejo para todos nós um ano em que possamos a cada dia buscar sempre o nosso melhor, mesmo com as dificuldades do dia a dia. Que possamos estar gratos e felizes em qualquer situação. So beautiful! Yes find out the best of us and about the people that surround us! To appreciate and be thankful! This new year i want to achievde all my goals and i will do everything to make my dreams come true. So good! !I´m sure you will achieve ! With such determination you will do it!! Dream and make it true! Os meus desejos para este ano é que haja mais respeito entre as pessoas, pelos animais e pelo próprio planeta. Que todas as pessoas tenham acesso às necessidades básicas para a própria sobrevivência e que os grandes governantes olhem para as pessoas como seres humanos e não como meros números. A nível pessoal espero ter uma boa evolução aqui no curso, permitindo-me assim melhorar a nível profissional e também viajar sem ter aqueles constrangimentos linguísticos. Desejo também conseguir estar mais vezes com a minha família que infelizmente está noutro país. Espero que os vossos sonhos se concretizem também. Que 2019 seja ainda melhor que 2018. Thank you so much!You too! Fantastic wishes! !Peolpe, animals and environment to be respected! Regarding the English classes I´m very happy for you and I ´m sure you will achieve the knowledge of the lauguage! I´m sure!! Wish 2019 make our dreams come true! Hello everyone! Best wishes to you all for the new year! My first wish to 2019 is… if it couldn’t be better than the last year, at least the same! Fortunately me and my family had healthy, we all have a house to live, food to all meals and some money, so I feel that I’m a very lucky guy, specially in the times I turn the Tv to see the news and see all that kind of problems that affect so many persons all around the world. So, my global wish for everyone is “H+H” (Healthy and Happy)! Lot’s of them! That’s are my major resolutions for the new year! Hope you enjoy it. Hello everyone, best wishes for all of you!!! For this new year I want peace, health and prosperity for me, my family and friends. Believe more in ourselves each day, enjoy life and get closer to make our dreams come true. Thank you soo much!! You too!! So good your wishes! And so good your words! Believe in ourselves and enjoy life!! I add Be Happy!!! a Lot!! Para este ano novo, eu desejo que todas as pessoas que parem de olhar para “si mesmas” e comecem a olhar “para o mundo”. Vamos parar de ser egoístas, invejosos e negativos, por favor. Vamos encarar cada dia com um sorriso no rosto e agradecer todos os dias, pelas pequenas coisas que temos. So beautiful your text! Thank you and Happy New Year for you too! Your words are beautiful!You are so true! The homelesses are a really and sad problem! And yes, each of us could do something to help! Sometimes we complain, but we have a lot! I also wish a better world, without selfish people, no envy and negativity! Lets keep a smile and thank four our lives!